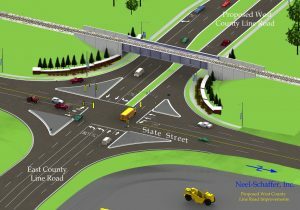 Construction of the long anticipated West County Line Road re-alignment project is well underway. 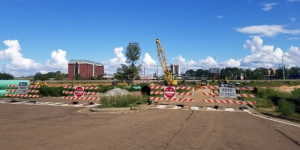 Currently, construction crews are preparing the areas needed for the relocation of the railroad tracks and the feeder road that will connect Brown Street to Tougaloo Village Road. Additionally, the crews are driving the foundation pilings for the two new railroad bridges that will cross over both W. County Line Road and Tougaloo Village Road. The $16.5 million project, which is funded by a federal TIGER grant and the City of Jackson, is scheduled to be completed by late 2019 and will provide opportunities for the development of the College’s real estate assets. The College also recently teamed with the Central Mississippi Planning and Development District to assist with the study and planning of potential land uses and infrastructure needs for the property.